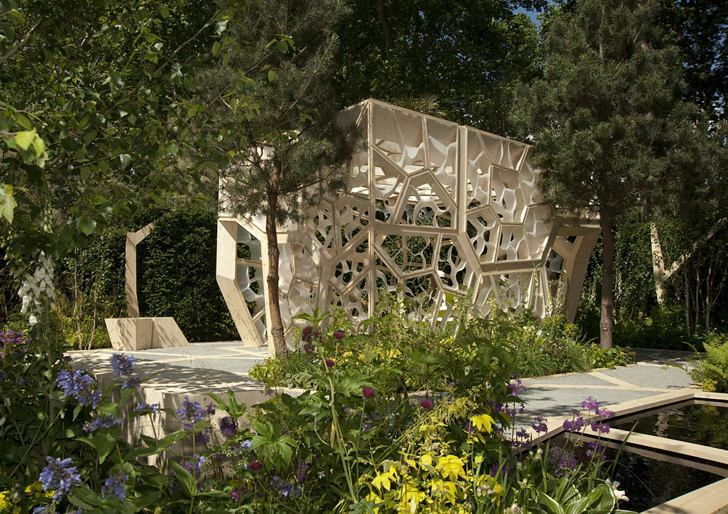 The astonishing Times Eureka Pavilion at the Chelsea Flower Show takes us deep into the structure of a leaf with its biomimetic design. The newly completed pavilion is set amidst a bounty of flowing plants, and it takes structural cues from the intricate growing patterns of leaves. 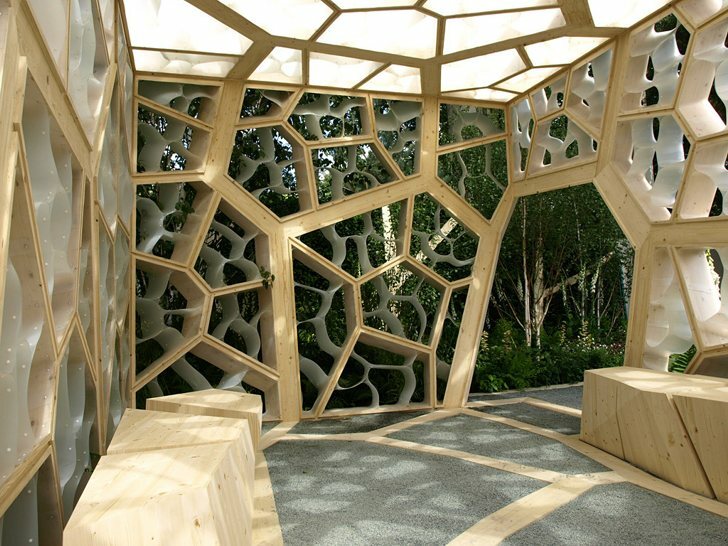 Marcus Barnett Landscape Architects created the “veins” out of sustainably harvested spruce and inserted plastic “cells” into the pavilion to bring visitors into the foliage to experience the textural composition of plants. Read on for a closer look at this stunning project! check out more PHOTOS: Beautiful Times Eureka Pavilion Mimics the Structure of a Leaf | Inhabitat – Green Design Will Save the World.